Please note that the 2015 national and Pennsylvania pedestrian accident statistics have not yet been released. Please check back frequently for updated stats and facts on people who have been hit by cars. There were 4,884 pedestrians killed nationwide in 2014, a 3.1% increase from 2013. Pennsylvania had a total of 166 pedestrian fatalities in 2014. Allegheny County had 11 pedestrian fatalities in 2014. Pedestrian deaths accounted for 14% of all traffic fatalities in 2014. 26% of pedestrian fatalities occurred from 6 to 9 p.m.
30% of pedestrians injured were younger pedestrians, ages 19 and under. 66% of pedestrians killed were males, more than double the rate of females. Alcohol involvement, for the driver or the pedestrian, was reported in 49% of all fatal pedestrian crashes. An estimated 73.8% of fatal pedestrian crashes involved a drinking pedestrian. Most accidents occurred at non-intersections. 71% of pedestrian fatalities occurred at nighttime. 26% of pedestrians killed were 65 and older. There were 4,735 pedestrians killed and an estimated 66,000 injured nationwide in 2013. Pennsylvania had a total of 151 pedestrian fatalities in 2013. Allegheny County had 13 pedestrian fatalities in 2013. On average, a pedestrian was killed every 2 hours and injured every 8 minutes in traffic crashes. Pedestrian deaths accounted for 14% of all traffic fatalities in 2013. One-fifth of pedestrians killed were children between the ages of 1 and 14. 69% of pedestrians killed were males, more than double the rate of females. An estimated 34% of fatal pedestrian crashes involved a pedestrian with a BAC of .08. 92% of pedestrians were killed in traffic accidents involving only one vehicle. 21% of pedestrians killed were struck in crashes that involved hit-and-run drivers. 72% of pedestrian fatalities occurred at nighttime. The average age of a pedestrian killed in a traffic crash was 46. 19% of pedestrians killed were 65 and older. There were 168 pedestrians killed and 4,548 injured in car accidents in 2012. Both were an increase from 2011. There were a total of 4,538 crashes involving pedestrians. The largest number of fatal pedestrian accidents occurred when the pedestrian was entering a crossing or specified location (41.1%). The county with the largest number of pedestrian deaths was Philadelphia with 34. Allegheny County had 9 pedestrian deaths in 2012. The highest number of pedestrian deaths were ages 75 and over (27). Other age ranges with a high number of deaths include 50-54 (19) and 20-24 (15). Pedestrians who text are four times less likely to look before crossing the street, cross in crosswalks, or obey traffic signals. They also found that texting pedestrians take an average of two seconds longer to cross the street. 149 pedestrians died in 2011 in Pennsylvania. In 2011, pedestrian-related crashes represented 3.6 percent of all reported traffic crashes in Pennsylvania. Pedestrian-related crashes accounted for 11.6 percent all traffic crash deaths in 2011. Most pedestrian crashes and deaths occurred while pedestrians were crossing the street at an intersection. Forty-one (41) people were killed when they were walking, running, jogging, or playing. Overall, male pedestrians deaths consisted of 66 percent of all pedestrian deaths. 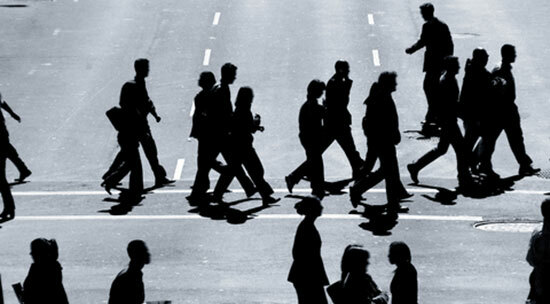 The majority (61.7%) of pedestrians were injured in the daytime in 2011. However, more pedestrian deaths occurred at night (72.5%). In 2010 across the United States, 4,280 people died in pedestrian accidents, which was a 4.2% increase from 2009. Additionally, 51,000 people were injured in pedestrian accidents nationally. About 75% of pedestrian deaths were in urban areas. Almost 70% of pedestrian deaths were at night. In 2010, 148 pedestrians died in Pennsylvania car accidents. About 4,474 pedestrians were injured in Pennsylvania traffic collisions. About 79 people died when they were hit by a car while entering a crossing/specified location, such as a crosswalk. Twenty-six (26) people were killed when they were walking, running, jogging, or playing. The majority of pedestrian deaths were male (70%). People ages 75 and over had the highest number of fatalities. Kids ages 10-14 had the highest number of injuries from pedestrian accidents at 547. In 2009, 4,092 pedestrians were killed, and an estimated 59,000 were injured in traffic collisions in the U.S. The 4,092 pedestrians killed was a 7-percent decrease from 2008. Pedestrian deaths accounted for 12 percent of all traffic-related deaths (3 percent) of people injured in the United States. On average, a pedestrian was killed every two hours and injured every nine minutes in auto accidents in the nation. The large majority (90 percent) of pedestrian fatalities happened in crashes involving only one vehicle. About 72 percent of pedestrian deaths happened in urban areas, and nearly 70 percent occurred at night. Pedestrians ages 65 and older accounted for 19 percent of all pedestrian deaths in the U.S., and nearly 20 percent of all children ages 5 to 9 who were killed in traffic crashes were pedestrians. Nearly 70 percent of pedestrians killed were male. About 48 percent of all pedestrians killed in the United States died in crashes occurring on Fridays, Saturdays, and Sundays. Nearly half (48 percent) of the traffic crashes that resulted in pedestrian deaths involved alcohol, either for the driver or the pedestrian. In Pennsylvania in 2009, there were 134 reported pedestrian fatalities. The number of pedestrians killed in traffic crashes, 4,378, decreased by 6.8% from 2007. 69,000 pedestrians were injured in 2008 traffic accidents. In 2007, pedestrians accounted for 4,654 of the 41,059 deaths from car accidents. In 2006, there were 4,887 pedestrian-involved accidents in Pennsylvania. That represents 3.6% of all crashes. Of those 4,887 pedestrian accidents, 155 were fatal. Pedestrians 75+ accounted for 34 of the 155 fatalities. Male pedestrians accounted for 67% of all fatalities, up from 62% in 2006. Younger pedestrians 19 and under account for 38% of pedestrian injuries. The majority of pedestrian car accidents involving injury (63.5%) occur in the daytime, but the majority involving death (65.2%) occur at night. 4,673 pedestrian-involved accidents occured in Pennsylvania in 2006, representing 3.6% of all crashes. Of those 4,763 pedestrian accidents, 170 resulted in deaths. 27 of the 170 fatalities involved pedestrians 75+. 62% of all fatalities were male pedestrians, up from 59% in 2005. 40% of pedestrian injuries involved younger pedestrians 19 and under. Most of pedestrian accidents involving injury (65.1%) occur in the daytime, but the majority involving death (69.4%) occur at night. There were 4,763 pedestrian-involved accidents in 2005 in Pennsylvania. That represents 3.6% of all crashes. Of those 4,763 pedestrian car accidents, 162 were fatal. That represents 10% of all crash deaths. 2005 saw the lowest rate of pedestrian crashes. Pedestrians 75+ accounted for 28 of the 162 fatalities. 59% of all fatalities were male pedestrians. Younger pedestrians 19 and under account for 41% of pedestrian injuries. The majority of pedestrian accidents involving injury or death occurred during daylight hours. "Traffic Safety Facts 2013 Data." National Highway Traffic Safety Administration. Feb. 2015.